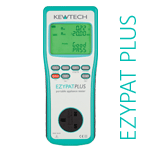 Easy to use Battery Powered Only PAT Tester which displays Test results on a large easy to read display. 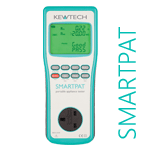 An entry level choice for those wanting to carry out PAT Testing on Appliances where you do not have the need to perform a Run Test. 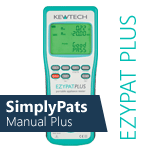 Easy to use Battery and Mains Powered PAT Tester which displays Test results on a large easy to read display. 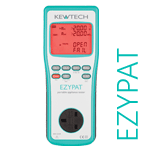 This is a great all round choice for for testing a wide variety of Appliances, and also has the option of performing a Run Test using Mains Power on both 230v and 110v Appliances (110v Transformer needed for 110v Tests). 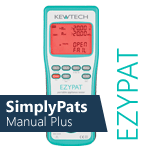 The KEWPAT App is used to enter Customer Information and Appliance Details. Fully Editable and User Defined Test Sequences let you carry out any number of tests, with the Results being stored and displayed in real time in the App. 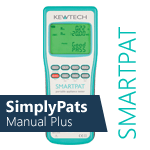 This bundle includes SimplyPats V7 Manual Plus Edition software for your Windows Desktop PC.